One of the earliest community service activities that the Brothers of Beta Omega Chi initiated was to volunteer cleaning in the downtown area of Providence around the Riverfront. 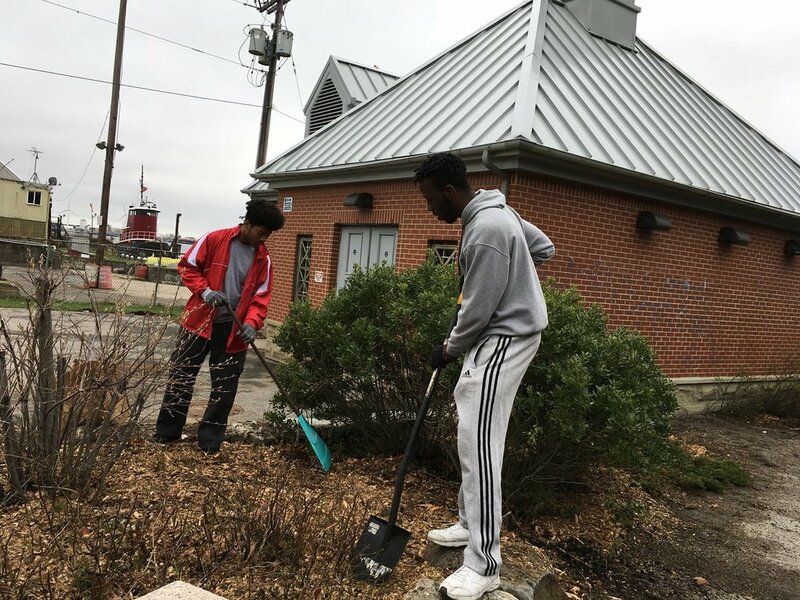 This has been in collaboration with the Fox Point Neighborhood Association as part of their numerous community engagement efforts like the Earth Day cleanup. Bowties for Boys is an annual free program that provides young boys of color an opportunity to learn important skills that will enable them to accomplish their goals and be successful in life. Male mentors assist them in shaking hands, introducing themselves, and tying a bow tie. Each boy leaves the event with his very own classy bow tie. Beta Omega Chi's involvement came as a result of the community engagement efforts of Wassa Bagayoko (Brown '21). Sincere gratitude goes to her. From (2nd position) Left: Brothers KJ Boyce, Nkanyiso Nzimande, Clarence Mokaya, Dybe Fredy and Jacob Stanton.